Along with completing a handful of extremely successful development iterations, the other commercialization task for this global chemical company was to ensure repeatable product builds. 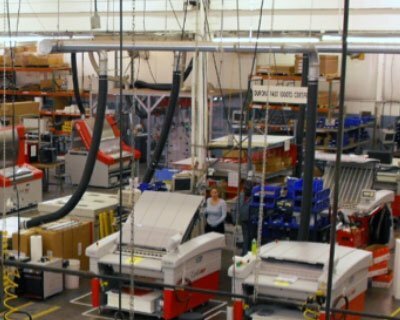 The customer needed a partner that could manage hundreds of parts, both manufactured and purchased, into a turnkey production process of their intricate machinery. Most contract manufacturers could not dedicate the resources to such a monumental task. Not only was the manufacturing complexity a hurdle, but the technical complexity of the final testing and assembly of the product was daunting. With millions of dollars in consumables to be processed through each machine, Quality and Delivery were of the utmost importance. Program Management bolstered by an Engineering Assisted Manufacturing approach was applied to the production planning of these units. A team of engineers, manufacturing specialists, Quality personnel and other skilled employees were allocated to the programming. They took on tasks such as identification of Critical Path items, BOM cleansing, assembly floor layout, work instructions and Quality documentation. With perfect planning and customer feedback, a final plan was put in place and production began. PEKO’s robust manufacturing system not only optimizes production, but uses feedback from previous manufacturing important to better optimize future builds. This feedback loop ensures best-in-class manufacturing and products that have superior reliability and Quality. Custom test and assembly fixtures were created to guarantee Quality at the source and ensure working product leaves the facility. The line was also built to accommodate customer ramp up/down, serialization, customer configurations and even refurbishments. By creating a customized, flexible assembly cell, the customer could enhance their product offerings. This program still yields extremely reliable builds after over 1,000 units produced. PEKO produces a variety of different models, iterations and configurations. The true success was the ability for the customer to ship a spectacular product with truly excellent performance. As such, they sell millions of pounds of consumable each year to their customer and remain a leader in this industry.